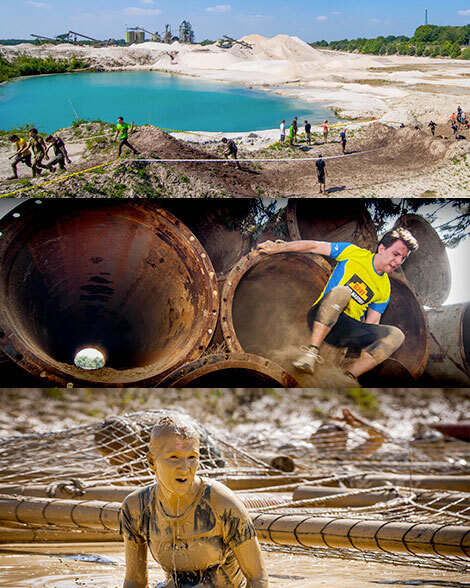 May 11, 12 & 18, 2019 New course - New obstacles - New finish shirt! We are currently hard at work on plans for the course! 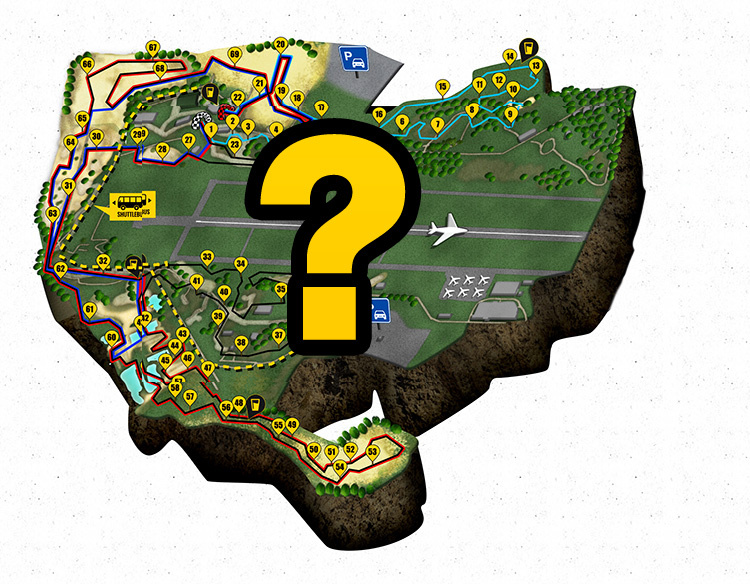 Come back to this page later but, in the meantime, check out last year’s map below for a teaser. Are you of the fearless kind? 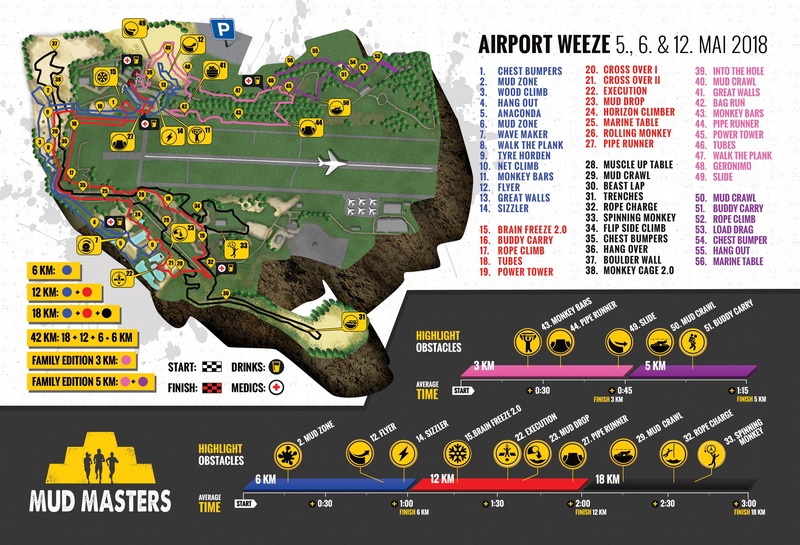 Then the rough airforce base course in Weeze will bring out the best in you! We say this without reservation. The sound of airplanes taking off on the side of the base will help pump up that adrenaline level. The route goes straight through an industrial sand pit with waterholes. Add in some extreme altitude differences, bunkers and hangars and you will feel as though you are starring in an action movie. Bare in mind you will play the stuntman. Because of the rugged Air Force Base-look of the grounds and the low-flying airplanes overhead, I felt like Bruce Willis in Die Hard during my run. Close your nose and overcome your fear of depth!